Deep passion — to find out about the whole of existence — goes far beyond details and fragmentary parts. There can be a holistic awareness, not merely of the five “separate” senses that one “has,” but rather “as” the holistic senses working together harmoniously, as one, without thought/thinking constantly interfering, separating. When one was young, one mustered up all of the energy that one had to perceive the truth and the whole. That’s the only way to be! Order comes through understanding and perception… not via rigid, limited ideals which bring about conflict. Many animals value life just as we do… maybe even more so. Look beyond the learned patterns; see beyond the limited, learned symbols. True wisdom goes beyond perceived borders and is therefore truly compassionate and caring. Excellent photo Tom! Such beautiful insects, in our area we call them candy stripped leafhoppers. Thank you, Belinda; that is an awesome name for them! 🙂 They sure are beautiful, though diminutive! 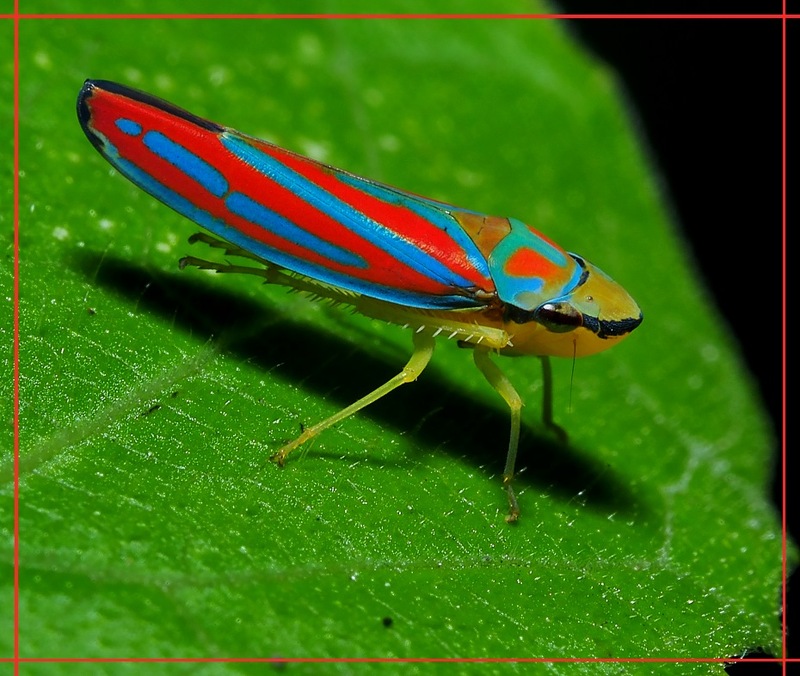 Will keep my eye out for one of these colorful leafhoppers! What a stunner, he looks like he’s ready to race! Great capture, Tom! Nice wings! We only have the lime-green ones here (unless the snazzy ones are hiding from me). Aha – then he (or she) is here in Michigan and sees me, this hulking creature, and has already taken that big leap before I come upon him/her. I know I’d remember that colorful creature if I saw it! Incredible photo and bug! I’ve never seen one of those. Definitely, if we looked around ourselves feeling we’re one with One everything wouldacquire a completely different meaning. You have learned much about life, Leafhopper. lol. Sorry, Tom, couldn’t resist. Great post! There’s no question that animals value life. I can’t prove it, but I’ve seen it. It’s rather like your leafhopper. Once you’ve seen it, you can’t forget it!